Wildlife Mississippi has collaborated with experts and agencies to publish a number of handbooks that offer detailed technical information for landowners. Handbooks available for viewing and downloading cover restoration and management of longleaf pine forests and native prairie habitat, conservation easements and conservation provisions of the federal Farm Bill. New and updated handbooks will be published and made available periodically. Download Farm Bill Conservation Programs. A Handbook for Lower Mississippi River Landowners. 2016. Download Conservation Easements. A Handbook for Mississippi Landowners, 2nd Edition. Download Restoring and Managing Longleaf Pine. A Handbook for Mississippi Landowners, 2nd Edition. Download Restoring and Managing Native Prairies. A Handbook for Mississippi Landowners. Download Conservation Provisions of the 2008 Farm Bill. 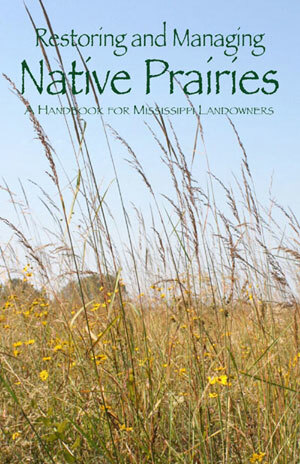 A Handbook for Private Landowners in the Lower Mississippi Valley.